A recent sharp fall in gold prices has prompted fears that the precious metal's everlasting shine has begun to fade; so, is the slump a sign of the golden market's inevitable doom? According to Anthony Fensom, an Australia-based freelance writer and expert in financial industries, the yellow metal's status as a safe haven has been shaken by the drop in the price of gold to five-year lows. "Gold 'bugs' are being squashed in the price rout, with gold recently plunging to a low of US$1,072.30 an ounce, its lowest level since February 2010. The sell-off compares to its August 2011 high above US$1,900, when analysts were tipping it would climb to US$3,000 by early 2014 on the back of the US Federal Reserve's record quantitative easing," Fensom pointed out. The expert underscored that since the global mine supply has risen dramatically from 2,845 tons in 2011 to 3,129 tons last year, an estimated oversupply has obviously contributed to the current slump. Meanwhile a number of leading Western financial institutions have predicted a further decline in gold prices. For instance, Goldman Sachs reported of a probable drop below $1,000 per ounce this year. ABN Amro stated that the price may slide to $800 by 2016, while Deutsche Bank expressed its confidence that gold will plummet to $750 a troy ounce. "The gold gloom has seen investors rush for the exits, selling gold-backed funds at the fastest rate in four months," the expert explained. "The plunging price has also hit miners hard, making an estimated 10 percent of all production uneconomic and putting the profits of one third of producers under threat," Fensom remarked, adding that almost three quarters of producing miners are at risk of facing significant financial losses. However, while some Western financiers like billionaire Warren Buffett regard gold as an "unproductive asset," Chinese and Indian investors continue to buy the precious metal. By the way, the current decline in the price of gold plays right into their hands. Together, these countries account for almost half of global demand. Amid the dire prognoses, the ANZ Research report "East to El Dorado: Asia and the Future of Gold" states that the gold price may rise as high as $2,000 a troy ounce by 2025. "This is our central case for the gold price. While the near-term could see prices trade only marginally higher over the next few years, we believe the combined effect of greater demand from investors and central banks will see gold prices rise materially over the long-term," the report reads. ANZ elaborated that the rise of emerging economies like China and India will facilitate the demand for gold investments. 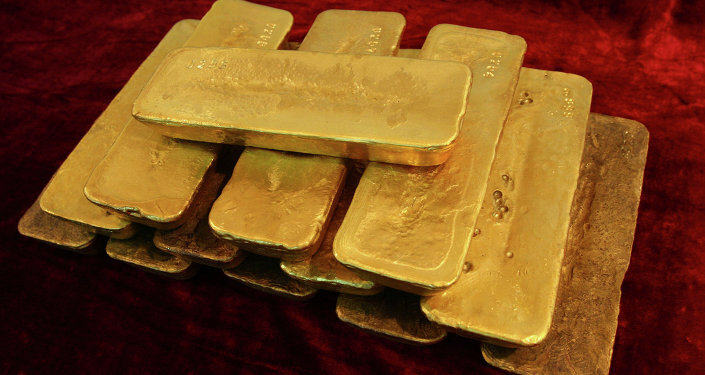 At the same time central banks continue to replenish their vaults with golden ingots. 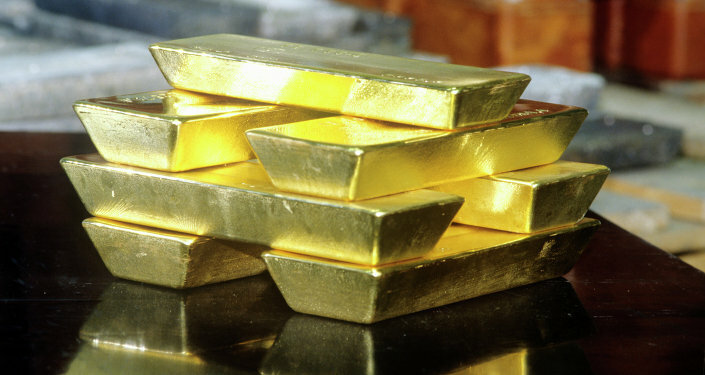 Gold is still considered as both an investment and a defensive asset. It is "a store of wealth in unstable times, and while the global financial system has successfully weathered a major storm in the past decade, the future is far from certain," according to ANZ's analysts. Thus far, "Buffett might hate it, but in the long run, the gold bugs might still have reasons to smile," Fensom emphasized.